Our Greek~Karpathian food & lifestyle blog every Monday! Join us this week for Greek Holy Week & Pascha (Easter) Foods, a spiritual and celebratory slideshow banquet that will take you from fasting to feasting for sustenance and spirit. Come see what we’ve been cooking in our kouzina and what will be on our Pascha holiday menu (all of the recipes will be in our upcoming cookbook series)! To our Greek followers, family, and friends observing Pascha/Easter, we wish you Kali Anastasi, Καλή Ανάσταση (Good Resurrection)! For those celebrating Passover this week, may your holiday be a joyous one! 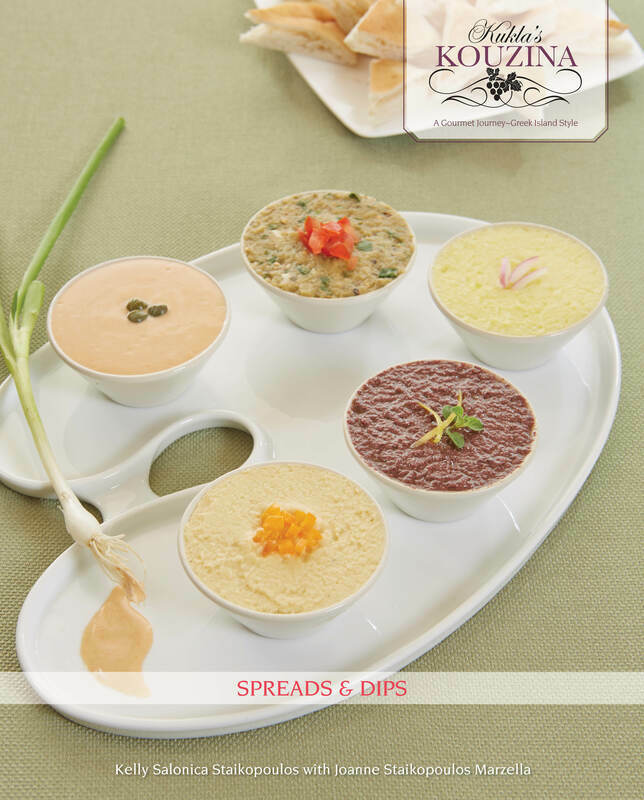 For Karpathian/Greek recipes, check out our new cookbooks Kukla’s Kouzina: A Gourmet Journey~Greek Island Style, Meze (Appetizers & Petite Plates) and Spreads & Dips, available on Amazon. Go to our BOOKS page for details about the books and us! Meze is featured in Marie Claire's gift guide! page for details about the books and us!  Come taste what Kukla's Kouzina is all about! Sign up to get our weekly e-newsletter and add "kefi" to your in-box. Be the first to hear about our new Greek food blogs, events (including cooking workshops), cookbook news, special offers, and much more. where we'll be reporting on our food news & adventures—sometimes Greek, sometimes not—but always delicious! Welcome to our KUKLA’S KOUZINA: A Gourmet Journey~Greek Island Style cookbook series—A collection of recipes inspired by the southern Greek island of Karpathos and perfected by a woman with culinary vision, our mom Mary, a.k.a. "Kukla" (doll)! Let the warm Mediterranean breeze fill your sails and prepare to be taken on a delectable voyage from the roots of our mom’s and grandmother’s recipes to the family kouzina (kitchen) where history was reinvented. One of the few unspoiled isles in the Aegean and a utopia of culinary delights, Karpathos—the second largest island of the Dodecanese chain, nestled between its more renowned neighbors Crete and Rhodes—is the ideal backdrop for KUKLA’S KOUZINA: A Gourmet Journey~Greek Island Style, a cookbook enriched by our Kukla's ingenuity, transporting conventional recipes to a level of unparalleled excellence. Awe-inspiring as the Titans, the elder gods who made Karpathos their home, this anthology will give you a rare glimpse into the flavors that ascend as high as their mythological ancestors. It’s a slice of heaven of which the myths only hint! To become truly familiar with a culture one must live with its natives, breathe the same air, and of course, sample its foods. Foods reveal a story of the people who create them—cultures of the sea have diets abundant in fish, those inland take from the earth, and their use of spices reflects the passion they happily share. On Karpathos, all of these elements combine to tell the tale of a civilization with a generous lifestyle that makes holidays and every day a celebration. Extracted from the unspoiled mountain village of Olympos that remains frozen in time to the inland farming town of Volada to the age-old fishing port of Finiki, these recipes remain true to their heritage with an originality that sets them apart from standard Greek cuisine--this is an edible trip worth tasting! The heart of our website, and cookbook series, is the passing on of our customs and culinary history to the next generation in a fun and engaging way, securing the legacy started by our mom and grandmother while encouraging our children to be as inventive as they were. Our blog, The Naked Truth About...Greek Cooking!, is all about traditional Greek food from the island of Karpathos and serves as a companion to soon-to-be-published KUKLA’S KOUZINA: A Gourmet Journey ~Greek Island Style. In our posts you'll find Greek cooking techniques and tips that will demystify what is sometimes considered a complicated cuisine and will help you recreate the dishes of the gods in your very own kitchen! We'll also talk about specialty ingredients used in Greek cooking and tell you where you can buy them, as well as offer any acceptable substitutions. In addition to food, we'll explore Karpathian culture and music to turn your journey into a well-rounded experience. Come meet us in our about page and find out what we're passionate about and what brings us to this uniquely delicious table. In our videos you'll find cooking demonstrations that will pair with our recipes. In our gallery you can view a slide show of our foods, then take a trip down memory lane starting with Kukla's early years growing up, to her life at work and play, and finally a take a peak at the next generation. Our events page will keep you updated on our future cooking demonstrations, classes and speaking engagements. 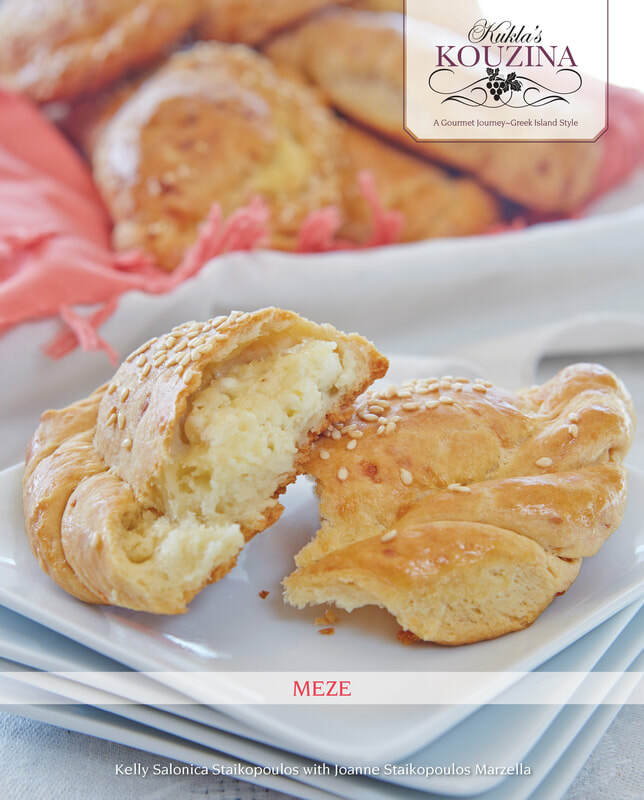 KUKLA’S KOUZINA: A Gourmet Journey~Greek Island Style cookbooks can be found on our BOOKS page. We welcome you to contact us and look forward to your comments, questions and requests. This is where you can sign up for our e-newsletter as well. We'd love to help you take your own journey~Greek island style! Our mom’s ultimate lesson to us, and now to you, never settle for ordinary when you can create something extraordinary! Check out our blog Olive Oil~Branch to Bottle to see what makes Mentis Estate so special. The exquisite olive oil produced by Mentis Estate is hand picked and carefully pressed by local artisans. To preserve the integrity of this extra-virgin olive oil, only limited quantities are available. A pure unblended olive oil, with an acidity of less than 0.5%, Mentis Estate produces an aromatic and fruity nectar. Well-balanced characteristics described as pine, floral, nutty, buttery, and pungent, with a hint of artichoke, make up this extra-virgin oil. This is truly the finest olive oil we at Kukla's Kouzina have ever tasted and it's our first choice for serving. Check out our blog Olive Oil~Branch to Bottle to see what makes Mentis Estate so special. ​Whether we’re preparing lunch or dinner for family, cooking for a celebration, or baking one of our Karpathian desserts, we found Kontos has the finest products for our culinary needs. For more than 60 years Kontos has produced premium fillo and food items using the finest ingredients and time-honored methods. The Kontos brand will always be our guarantee of freshness, quality, and flavor. Inspired by a long-standing tradition that re﻿surrects Cyprus' precious legacy, this Decanter WWA multi award-winning wine is a luxurious evolution of the world's oldest historically recorded wine, Kyprion Nama (today's Commandaria). "Anama, today's concept! As in the tagline, “Gastronomical Excellence,” Recipiada’s goal is to find, gather, and offer Mediterranean products which have an “excellent” quality. Yiayia Stella’s: Handcrafted Greek gourmet delicacies baked to order.